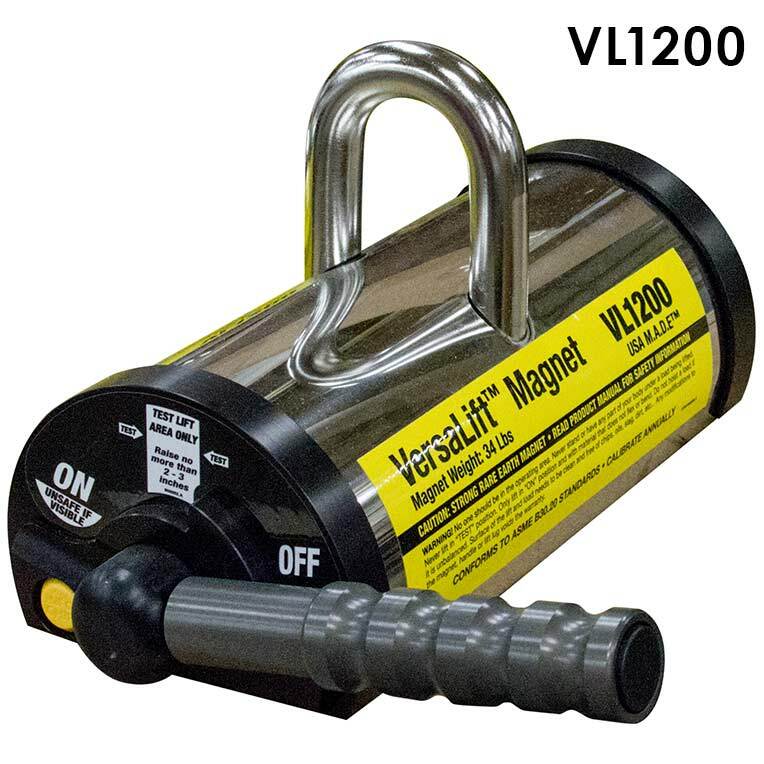 Compact and powerful Rare Earth permanent lift magnet for use on flat or round surfaces. Contains an internal On/Off release device that does not contact or damage the surface of the part. Locking On/Off handle prevents the handle from being bumped "On" or "Off", combined with a permanent magnetic lift, eliminates the fear of dropping the load. More features than other lifts and manufactured in the USA (USA M.A.D.E.™). To operate Test Feature, pull spring loaded handle out and rotate it to the "TEST" position. Lift load approximately 2-3 inches to verify the magnet has the capacity to lift your load. Once verified, place load back down and turn the handle to the "ON" position. Never complete entire lift operation in "TEST" position. Max. WLL at Min. Dia. / Th. 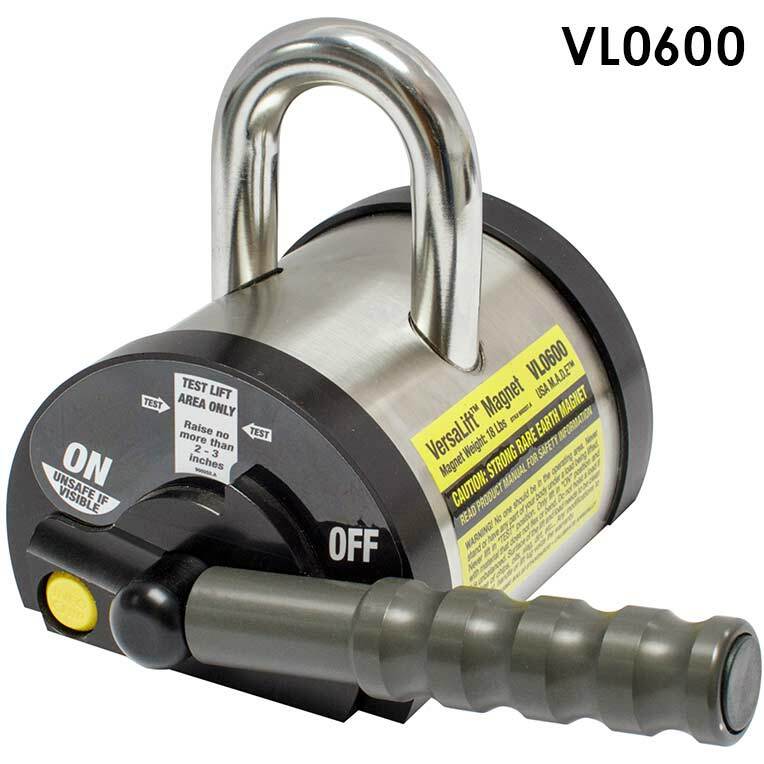 VL0600 300 130 2.00 In. / 0.12 In. 150 1.00 In. 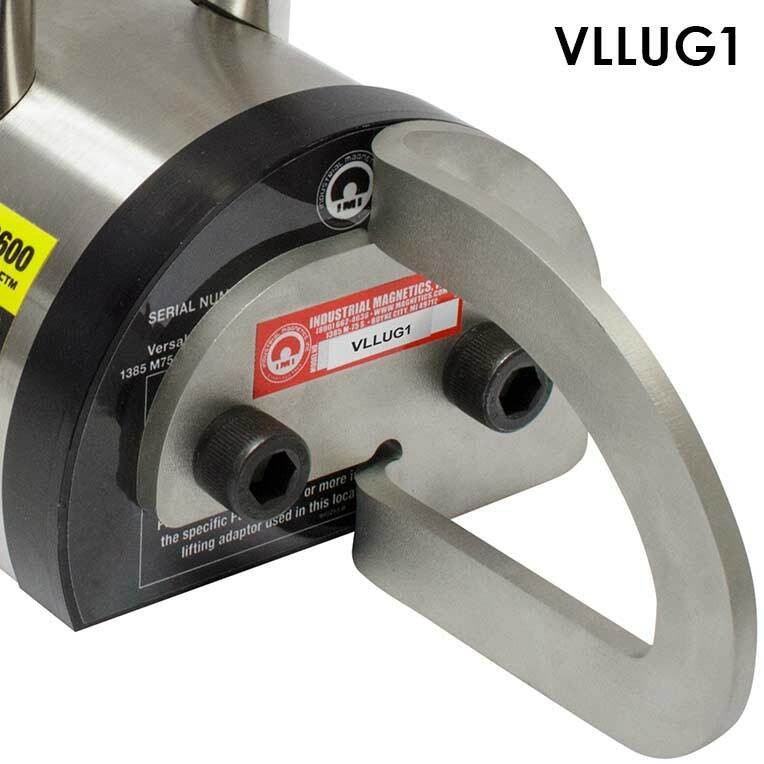 VL1200 600 600 4.00 In. / 0.50 In. 300 1.00 In. Note: Never stand under load being lifted. Always use extra caution. Only use magnetic lifts on material that does not flex or bend. The surface of the lift, and the load being lifted, need to be clean and free of chips, oil, slag, dirt, etc. Lifting magnets must be centered on load. Not recommended for painted or finish coated surfaces.